Tropicalina è un marchio brasiliano, istituito a San Paolo, in Brasile. Giulia Anselmo, studentessa dell'Università di Paiva, è la rappresentante di Tropicalina in Italia. Tropicalina produce e vende borse fatte a mano, all'uncinetto, usando materiali come l'acrilico e la pelle finta in un modo che li rende singolari e speciali. 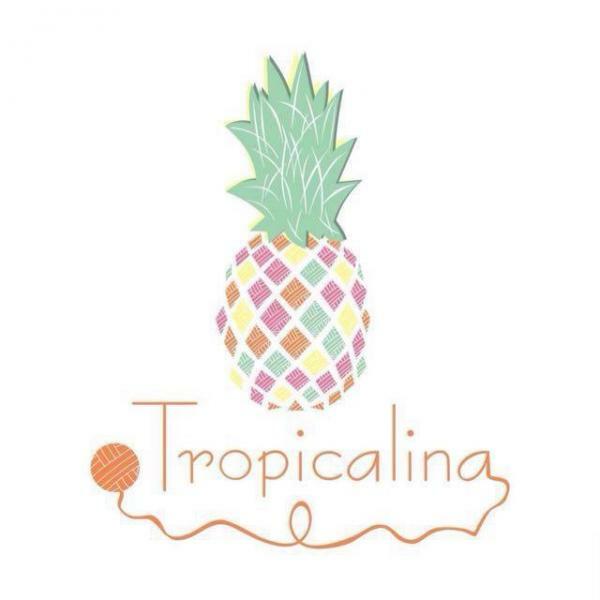 Tropicalina is a fashion company based in San Paulo (Brazil) that tries to deliver a new way of conceiving the fashion world, breaking down the wall between design and social responsibility. Nowadays consumers have much more information about how products are made. They are also aware that consumerism is not a sustainable way for human being. The part of consumers that is more sensible and attentive to these issues is changing its behaviours making more responsible purchasing and searching for organizations that really reflects sustainable values. In order to satisfy these needs, the vision behind Tropicalina is to produce artisanal premium handbags entirely handmade in Brazil from local people and from locally sourced materials in order to support the local economy. The idea is to create honest and sustainable job opportunities for women in need of economic and emotional support, motivating them to become highly professional and highly skilled. From the environmental point of view, Tropicalinaʼs concrete commitment is to use recycled and natural fibres in a way that reduces wastage and maximizes the functional potential of each material. The handmade on the other side, dramatically reduces the energy consumption in the production processes. To enlarge the audience and be active in different social fields, Tropicalina decided to devolve a small part of revenues to different projects. Each line of bags represents a particular cause. Itʼs essentially a fund raising with a specific goal, where the customer purchasing the bags, becomes a part of it and helps its growth. These projects will help to face some of the most relevant todayʼs issues, for example about environment exploitation and social disparity. The aim of this business plan is to give to Tropicalina an international outlook. The starting point is Italy because this specific market offers huge opportunities, not only for the great quantity of potential consumers but also because facing the Italian fashion environment will help Tropicalina grow and better understand the latest design trends. The fundamental tool that will allow Tropicalina to expand in an international way is the Ecommerce. Tropicaliaʼs website on one side will be the window to express the ethic of the business and give voice to the artisanʼs stories, and on the other side it will be the place where potential customer, reached by different digital channels, can make their purchase everywhere around the world..